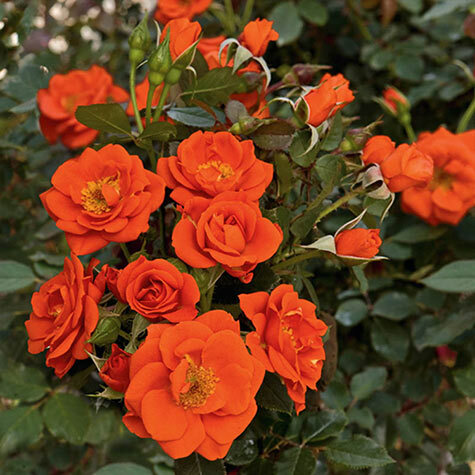 All A'twitter Miniature Rose | Gurney's Seed & Nursery Co.
Loads of shiny bright audacious orange blooms sparkle against the abundant deep deep glossy green leaves…and that dazzling color lasts all through the life of the flower. Perfect in a patio pot or tucked into a gaudy garden border. Makes a terrific tree rose, too. U.S. Patent No. 23324. Height: 12 - 16 inches. 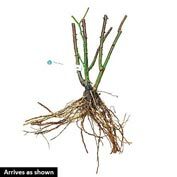 Depth: Dig a hole large enough to accommodate the roots without bending them. Color: Shiny, bright orange blossoms. Foliage: Deep, glossy green leaves. Blooms: Late Spring to Fall (all Summer). Flower Form: 15 to 20 petals, medium, double, formal blossoms. 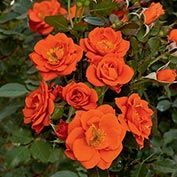 Comments: This super bright orange rose is sure to standout in your garden and draw attention. 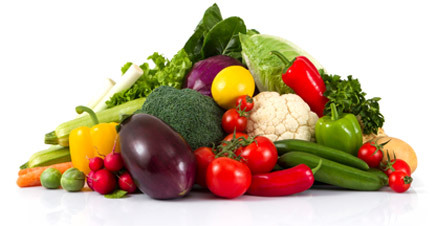 Color stays true throughout the life of the bloom.